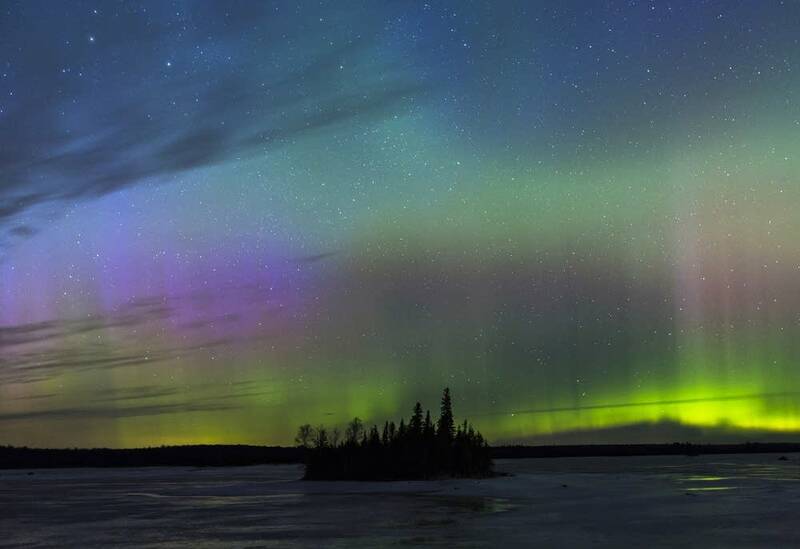 For nearly three years, Amber Nichols has been chasing the Northern Lights, the spectacular displays generated when solar winds from the sun interact with the earth's atmosphere. Typically the aurora borealis is only visible in far northern latitudes. But when conditions are just right, they can dance across the Minnesota night — for those who know how to find them. Nichols, who lives in Esko just west of Duluth, is so dedicated in her pursuit that she has an app on her phone that tells her when the conditions are prime. But until last week, she had only seen the lights twice. "They're elusive little buggers, let me tell you," Nichols said. On some occasions, the auroras don't materialize. At others, moonlight drowns out the colors or clouds roll in. "That's usually what happens," Nichols said. "People start seeing them, and everyone rushes out, and then the clouds come in, and you're like 'oh, man, really? Just go away!'" 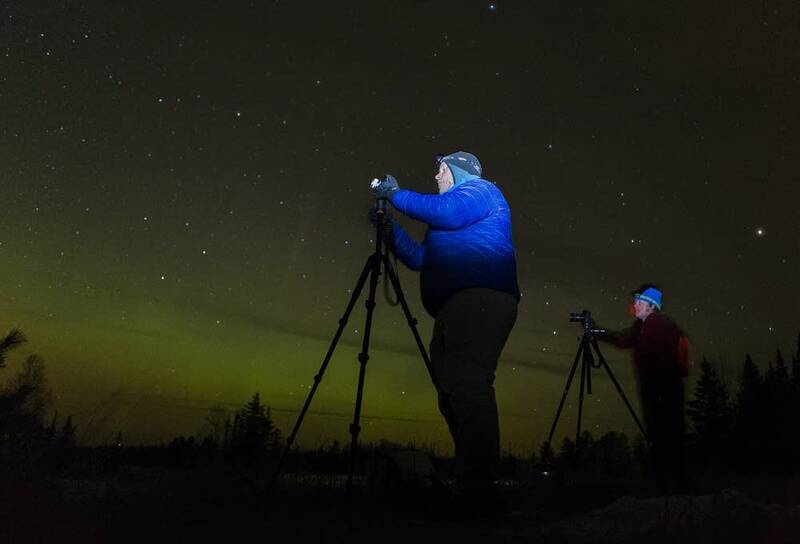 Last week, Nichols was among hundreds of people who fanned out across northern Minnesota searching for the perfect picture of the Northern Lights. Like others, she is drawn by the thrill of the chase. She kept coming back, often in frigid temperatures, to try to get a glimpse of them and capture the elusive shot. "I think all of us who are really into the chasing, have that one shot in your mind you want to get," she said. Late last Tuesday, Nichols finally got that shot. Standing on the shore of Boulder Lake about a half hour north of Duluth, she saw the Northern Lights dance. 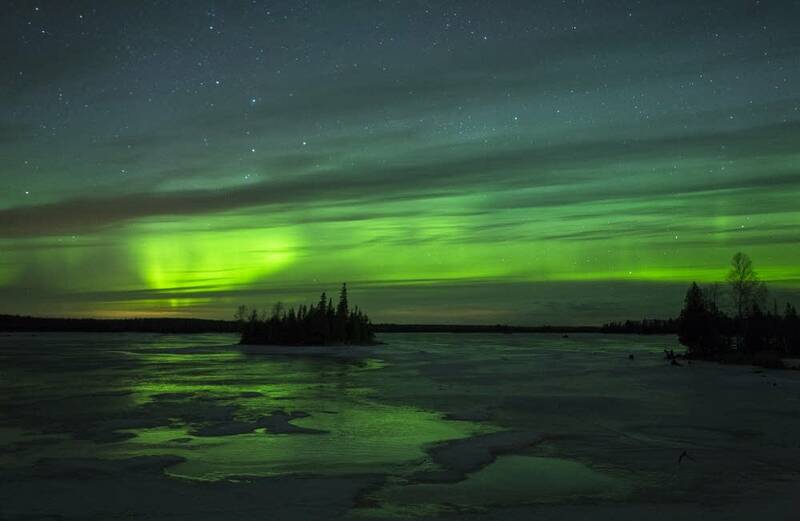 A vivid green light built up across the northern sky into tall pillars and then exploded across the horizon in waves. "Look at it go! Look at that!" others shouted nearby. At least two dozen people lined the shoreline to take in the show, their cameras mounted on tripods. Most chasers follow an aurora forecast published every half hour by the National Oceanic and Atmospheric Administration's Space Weather Prediction Center. But some say those forecasts aren't particularly valuable. "It's hard to know when there's going to be something really happening," said Aaron Reichow, of Duluth. "We know when something leaves the sun. We know it takes two or three days to get here. But after that, it's sort of a question as to whether or not we'll get something visible or not." To share information, many of the chasers follow a Facebook page created a couple years ago by Scott Canfield, an amateur photographer in Two Harbors. The Great Lakes Aurora Hunters group now has about 5,500 members from across the United States and Canada. Reichow, who helps administer the site, said on-the-ground reports from people are even more valuable than the forecast numbers. "Those numbers are an indicator for me to go out, but when people farther north from me, Calgary or Winnipeg, start seeing things, that's when you know you really need to get out right away," he said. "I tend to just keep everything, my lenses and my tripod, packed in the car, just ready to go." Reichow said he's amazed by the people from the group he meets late at night in the north woods. "There are a few people I've seen out here ... on a weeknight who have to work the next morning, who've hauled up from the Twin Cities, right after work," he said. "Some serious dedication!" 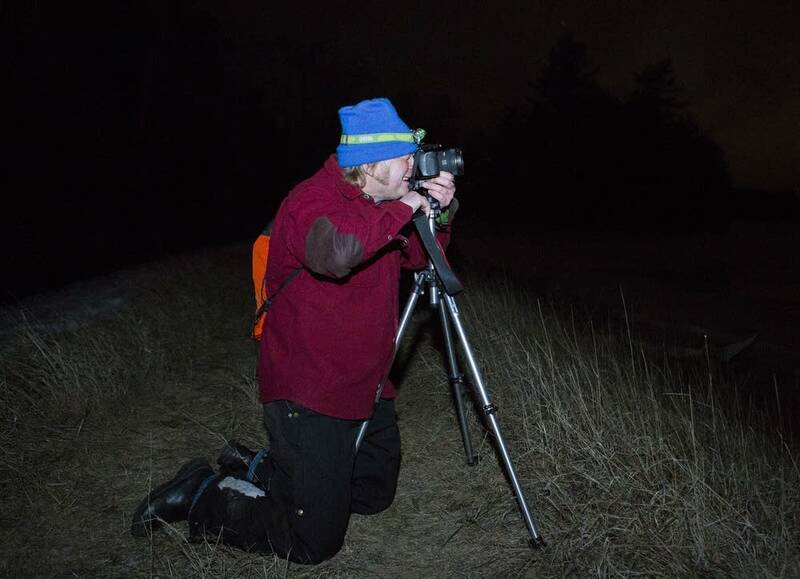 Reichow believes social media efforts like the Facebook page have helped bolster the ranks of Northern Lights chasers. He compares it to how pictures of the Lake Superior ice caves sparked a boom in visitors the last two winters. Melody Lovin, a National Weather Service meteorologist who belongs to the Facebook group, said the pictures people post on the page help confirm the aurora predictions. "The best part of that group is the fact that people post the time and the location," said Lovin, who has been hunting the aurora since moving from Florida two years ago. "So it really helps a lot, I think." Her husband, Justin Berke said the search can be a real challenge. The lights are often best on clear, bitterly cold winter nights. "The last time we were out here [it] was negative 16," he said. "I had to stop shooting because I couldn't control my hand anymore. I couldn't feel which buttons I was pushing, and so I had to give up." For Berke, the aurora is like nature's television. Those lucky enough to hunt down the northern lights, he said, should stop thinking and watch the show. On just the right night, the spectacular images will include vivid reds, greens and purples — colors that typically must be captured by a camera with a long exposure. That's why on a brilliantly clear night like the one last Tuesday night, Nichols found herself stunned when she could see bright green lights cascade across the starry sky. "It makes you feel a little bit small, and a little bit in awe of what our universe can produce," she said.